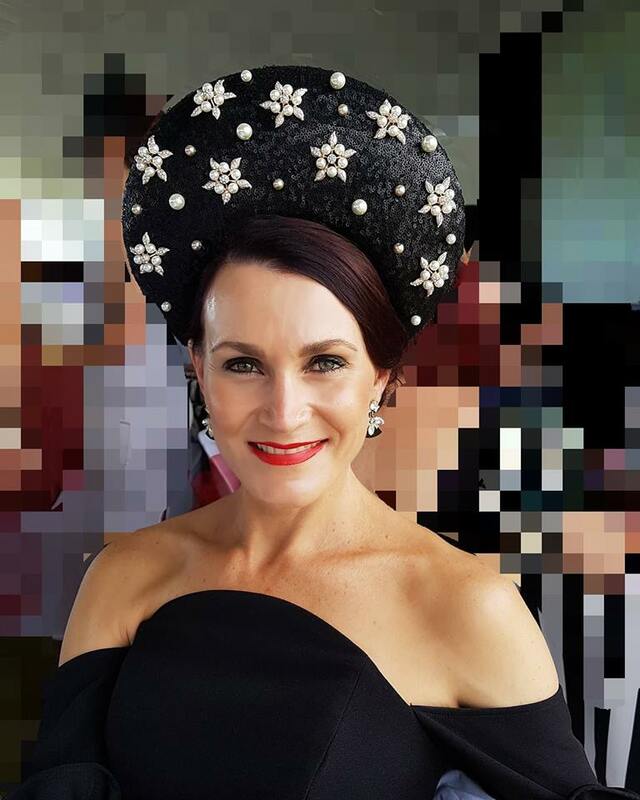 Hats by Zarbella NOW rents millinery pieces for all the local ladies of Rockhampton and the Capricorn Coast who are in need of a beautifully crafted hat for any one off event or occasion; be it for weddings, racing carnivals, corporate events or any other special occasion. 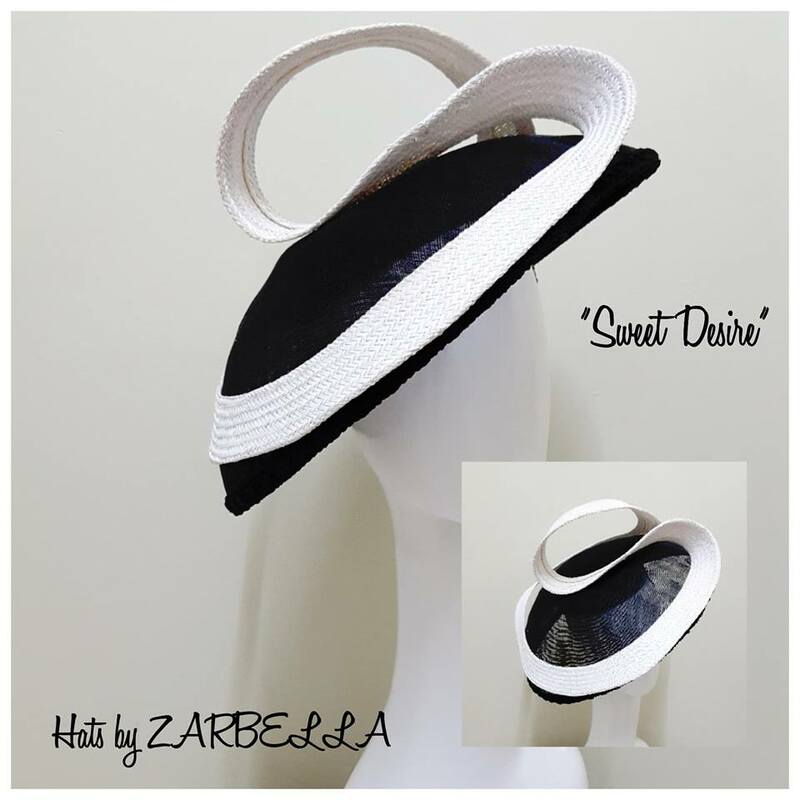 Zarbella's unique rental hat collection is at your fingertips! Take advantage! ​*The 1 day hat rental package includes hand delivery, pick up and dry cleaning for a total cost of $100. Or you can visit the Zarbella boutique studio at 12 Emu Parade, Barmaryee, Capricorn Coast, where you can try on and hire on the spot. Arrangements can be made for the return. So make an impression at your event! Get that camera snapping !! 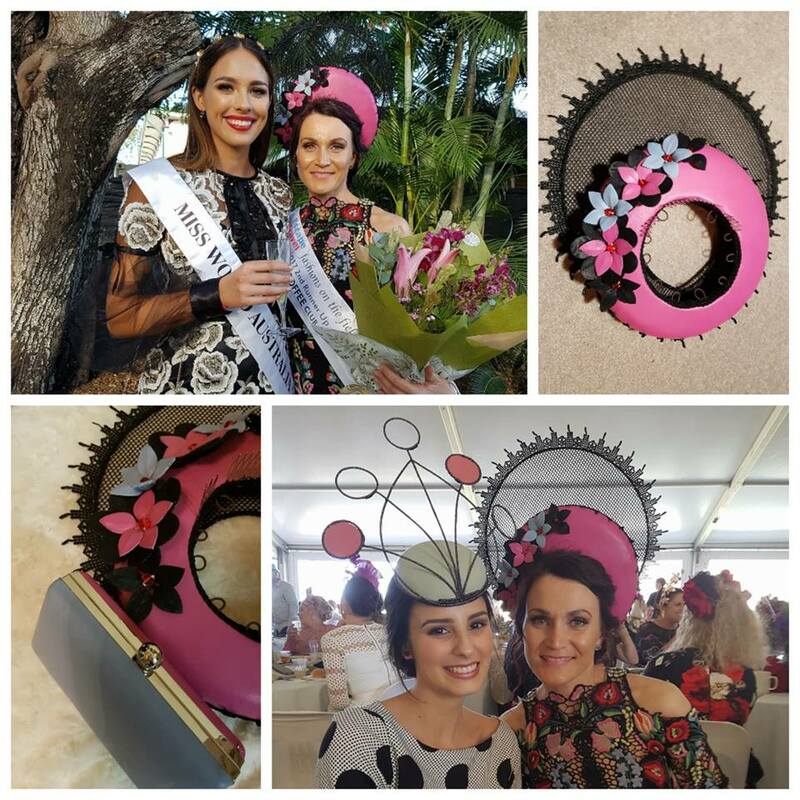 I would love to see photos of you wearing my Hats by Zarbella headpiece, so tag me on @juliawatson_zarbella! Zarbella's standard hires are for 1 day but can be hired up to one (1) week if pre-arranged. Questions? Go to FAQ . Large sweeping brimmed multi coloured hat with neck ties is for hire for $100 or $150 with matching purple clutch and gloves. 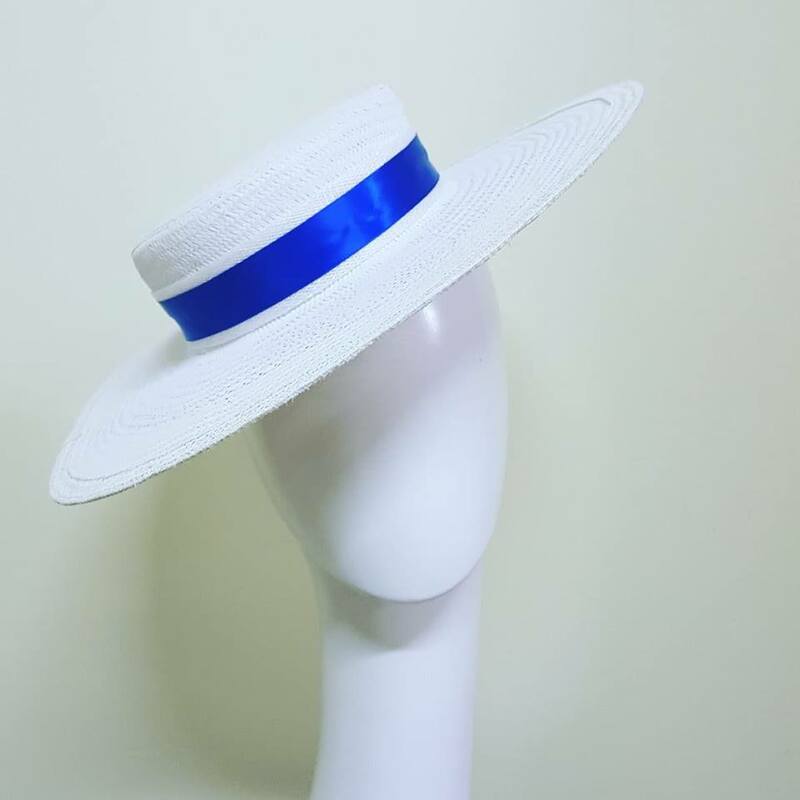 ​White medium brimmed boater hat with blue hat band $100. Who can hire a hat? Zarbella hires hats to the all the ladies of Rockhampton & Capricorn coast only at this moment. This millinery hire includes hand delivery, pick up & dry cleaning in the rental price. ​How long can I borrow a hat for? Hats can be hired for 24hrs and up to a 1 week. Your 1st day of hat hiring is going to be the date you choose for your hat to be hand delivered to you. How do I rent a hat? Just browse the current collection of hats for hire. Decide on the hat that you love and fill in the HAT HIRE FORM ABOVE. Julia will get right back to you! How do I pay for my hat rental? Full payment is taken by Direct Deposit only. 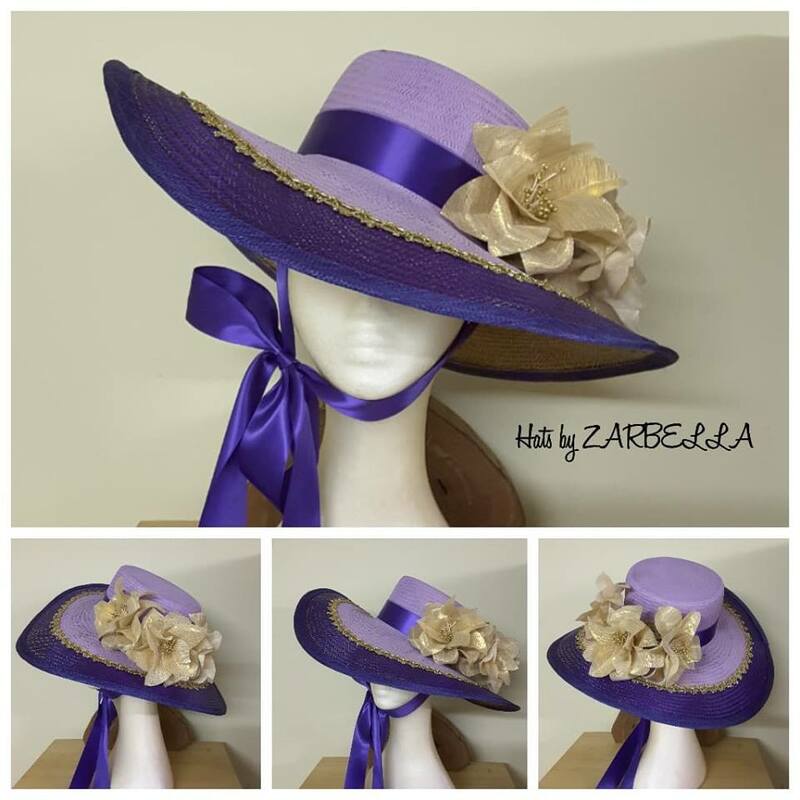 Hats by Zarbella's bank details will be emailed to you on the day of your order and the hat delivered after payment. How do I know the hat is clean when I receive it? All Zarbella hats are cleaned pre and post rental, so you will receive your hat in pristine condition. You will receive your Zarbella hat in a custom hat box . How do I return a hat? All hired hats will be personally delivered and picked up at a convenient time for the customer. Is it possibile to book a hire hat in advance for a special event/occasion? your desired hat is already hired out. What if I need the hat tomorrow? I can deliver for an extra fee if applicable depending on circumstances. Contact me. You might also like to visit the Studio at 12 Emu Parade, Barmayree or send me an email at zarbellahats@gmail.com with any sizing queries. What happens if I change my mind and want to cancel my order? Zarbella knows that sometimes life has a habit of changing our plans, so just email zarbellahats@gmail.com . I am happy to cancel your order. You must cancel your order at least 2 weeks before the date of your hat rental period is due to begin. The refund will proceed as soon as I receive your cancellation and pick up the hat. If you cancel your hat hire order less than 2 weeks from the order date (start), I will send you a Zarbella hat credit for your rental cost, which then can be utilised on another rental within a 6 months period. What will I do if I damage the hat? Please don’t try to wash, sponge, swab or fix the hat by yourself. Get in contact zarbellahats@gmail.com or call on 0409 836 415 and I will give you easy instructions on the next steps.